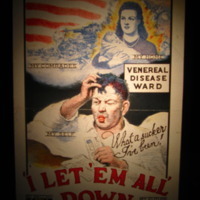 Many campaign materials focused on protecting the family from venereal disease. Even though venereal disease had long been associated with immorality and prostitution, Parran emphasized that ½ of all infections were actually acquired “innocently,” or spread through normal familial contact. The campaign emphasized that this was due primarily to people’s ignorance; they unknowingly transmitted VD to their spouse or children. Children especially were blameless for congenital infections. They had clearly been infected through no fault of their own. These sorts of ideas and the visibility of families in materials helped shift the symbols related to venereal disease. 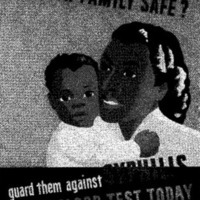 Respectable, middle-class, white nuclear families became associated with syphilis and gonorrhea increasingly. This focus on the family impacted the approaches the campaign used to help control VD. 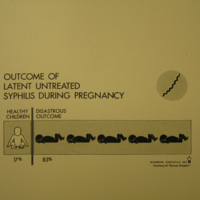 The PHS and their partners emphasized the importance of premarital and prenatal testing for syphilis and this was highlighted in visual materials. 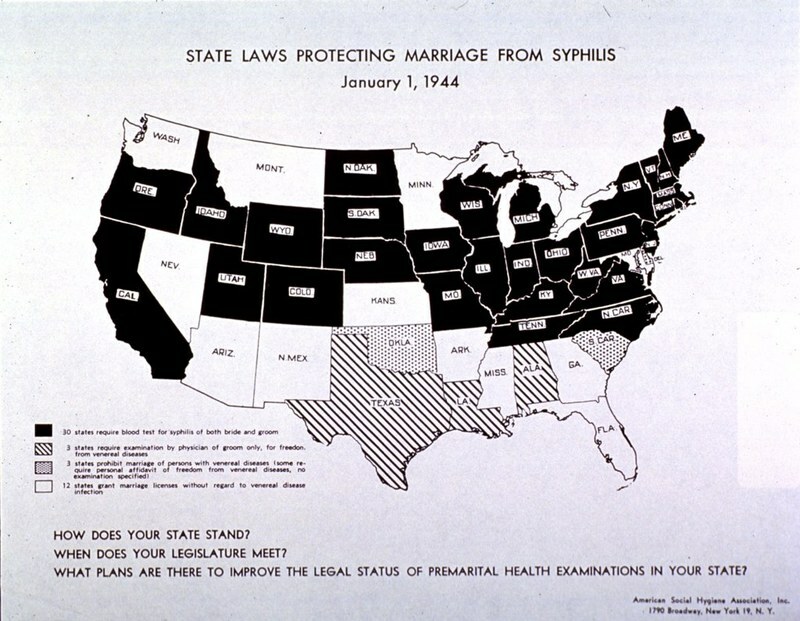 Many states passed premarital testing laws in the late 1930s and early 1940s that required marriage license applicants to show proof that they had been tested for syphilis (some states required applicants to test negative for the illness, most required applicants to simply be non-infectious; a few also required gonorrhea tests). The principles behind these laws were: most people were unaware they had syphilis, many cases were spread within the family, and most people get married; therefore, this was a way to reach many people, inform them of their status, and then allow them to be treated before marrying. These laws grew tremendously in the 1930s and 1940s. In 1937, 3 states had premarital testing laws. 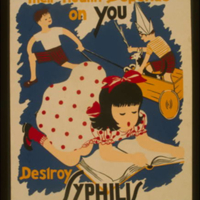 By March of 1939, ten states required examination of both partners for syphilis, five states required the examination of the groom only, and eleven states did not require exams but did prohibit marriage by people with VD and required a personal affidavit from couples that neither partner was infected. By 1944, both partners had to be tested in 30 states, with three still requiring only the man to be examined. 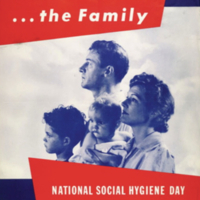 While these materials often used a serious tone or scare tactics to emphasize the seriousness of this threat to families, the campaign made clear that if men and women took the right steps before marriage and during pregnancy, they could live happy, healthy lives. For example, the captions in this comic strip highlight that 5 out of 6 babies born to syphilitic mothers who have no treatment during pregnancy will be stillborn or ill. However, it also shows Jane, who is expecting, being proactive and visiting her doctor for a blood test after reading an article on this issue in the newspaper. The final pane shows the end result—Jane and her husband have a healthy child. 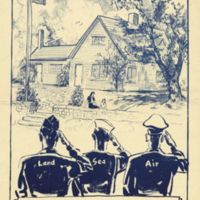 While concerns about the stability of the family were salient in the midst of the Great Depression, they continued to be significant as the country mobilized for war. 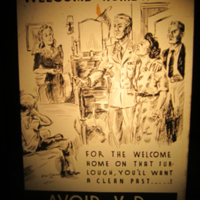 Though joblessness or abandonment no longer seemed to be threats to traditional families, World War II brought new changes that continued to make family themes relevant to the public, such as the increased employment of women outside the home as they contributed to the war effort and servicemen who were stationed away from their parents, mothers, and children. 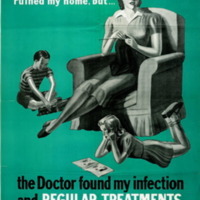 Wartime posters tied a positive family life to the success of the nation.